The sense of pride and utter joy by some high profile Indian American alumni of the Indian Institute of Technology, Mumbai, that one of their own Nitin Nohria, had been appointed the new dean of the Harvard Business School was palpable. In interviews with rediff.com, they said it was yet another manifestation of the high calibre 'brand' of IIT graduates and what they've come to represent as leaders in various disciplines around the world. Victor Menezes, erstwhile chairman and CEO of Citibank and former vice chairman of Citigroup, said, "This is just wonderful news. Harvard Business School is such a prestigious institution and it's great to see someone from IIT-Mumbai assume this post." "We are so proud to have an alumnus of IIT Bombay in this position -- it's just terrific. What an achievement," he reiterated. Menezes, currently senior adviser with New Silk Route Partners, LLC, an international private equity firm and chairman of the America-India Foundation, said, "The brand of IIT is being reflected in Nitin, particularly since this is globally renowned position and it makes you so proud to see one of our distinguished alumni in this position in such an iconic place like Harvard Business School." He said that once Nohria is firmly ensconced at the helm of HBS, the business relationship with India of a school that has produced many MBAs and alumni such as Ratan Tata and India's Home Minister P Chidambaram, could only be further enhanced, "especially through its management education development programs in India." Suresh Shenoy, senior executive vice president of IMC, Inc -- a Reston, Virginia-based consulting and technology company and the ex-chairman of Pan-IIT Alumni Association, declared, "A brand is only as good as the product it represents, and how better to showcase the achievements of an IIT alumni and to be proud of someone who has reached the pinnacle of their institution -- and an institution like the prestigious Harvard Business School." He pointed out that HBS "represents the ultimate source for corporate America's leadership and philosophy and for a person of Indian origin to be at its helm makes all of us as Indian Americans and Indians worldwide swell with so much pride." "And, for that person to be an alumnus of IIT is proof positive of the great foresight with which India's leaders invested in the education system which has paid these rich dividend of thinkers, academicians and captains of industry," Shenoy said. "I hope that the Government of India and HRD take note of these achievements by people like Nitin and continue to do the right things to perpetuate the IIT system, expand it, enhance it and nurture it to greater heights without making fundamental changes to a programme that demonstrably works well." 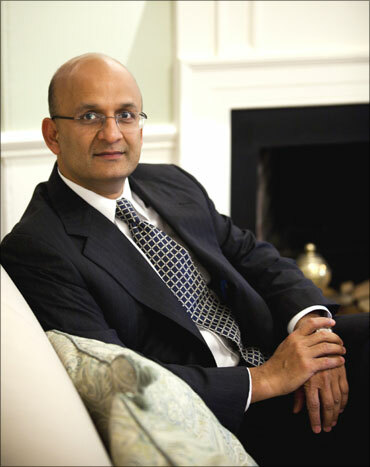 Shenoy, who heads the Capital IIT Alumni Association in DC and also serves on the board of the Heritage Fund Board, a tax-exempt entity headquartered in California to serve IIT-Mumbai, said that "people like Nitin Nohria can help in this endeavour and we all wish him well in his new responsibilities." Sante C Chary, CEO of US Physician Resources, and other healthcare provider companies including Low Cost Health Benefits of America and US Small Town Therapy, all based in Dallas, Texas, and a HBS alumni and officer of the HBS Alumni Club, said, the significance of Nohria's appointment couldn't be underestimated even in terms of how it would enhance US-India relations even further. He said, "It is by far, one of the most significant appointments of an Indian American in recent years and one that can bridge America and India in so many ways." Chary said, "It is not just a business issue, it is one that will have tremendous consequences throughout the geopolitical architecture in the new globalised world where business is a driver." "But specifically, as far as business is concerned, HBS will have a greater opportunity to pass on knowledge and train future leaders with generations of Indian business knowledge." Chary lauded the South Asia Initiative Founders Club at Harvard and said that "in recent years it has done so much to bring Indian business thought to Harvard," and gushed that "Dean Nohria's appointment now signals an era that will see great education and academic research between the US and India and business relations ever undertaken." He said as a student at HBS a decade ago, "I still recall Professor Howard Stevenson saying that graduates of top Indian schools were well prepared for admission into any US Ivy League university." Chary predicted that "now there will be an Indian-educated HBS dean who will inspire the next generation of Indians and Indian Americans to newer heights."